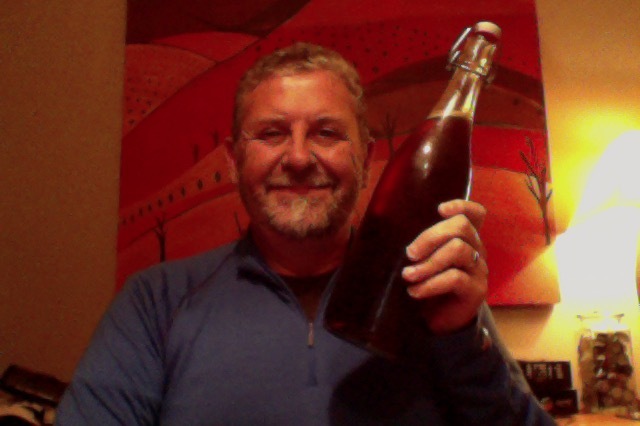 I had this ways back when, in a bottle, the 8 Wired Tall Poppy India Red Ale. So tonight it’s the same but different, different but the same, same same and same faces. From the fill-your-own this is a 1000 ml bottle of a 7% ABV, beer that makes it 5.52 Standard drink units, and 60 IBU’s so at the lower end for, say, an IPA and 210 calories a serve size. This is brewed for 8 Wired Brewing and is brewed at Renaissance Brewing, this one in the style of a Amber Ale or American Strong Ale and they’re in Blenheim, New Zealand. This is an ale that is not afraid of standing tall among other great beers. The intense, sharp and fruity hoppiness is backed by its complex, caramel-like malty structure. This beer has been designed to have it all, to be the greatest common denominator. This was a very popular choice amongst the staff at the bottle shop, the aroma on opening rich hoppy, sweet, hoppy, I can see why. Dark rich read pour that is lively and a head the size of a birthing appears, the head persistent and fluffy. Aroma in the glass is much of hoppiness/ grassy and a fair crack of sugarness. The taste is big. dry, big and dry. Full dry big. Lots of bitterness a full mouthfeel and a big dry finish. Wasn’t quite expecting that after the lovely and well behaved RareBird beer I had earlier. ike chalk and cheese. This is a frontal assault with hops that are I believe Warrior, Columbus, Simcoe, Amarillo, I wonder if they are the 4 horsemen a coming for me. Lots of linger in the mouth for this, it is a beer that is full noise and fireworks. The bitterness isn’t such a big note, for me it’s at the level that ticks a box rather than punches you overtime you sip it, the worst is the full dry finish that creeps more forward. But what an experience though. Anyway the beer with the food just enhanced the beer. Ideal for the finger feast that I just had. Plus it had the effect to warm the beer more in the glass which brings more of the dryness forward and give you that lip licking moment that we all know we’ve had and enjoy but don’t often get. That might just be me though. The pdubyah-o-meter rates this as 9 of its things from the thing. It’s a matter of what I don’t like or miss then. Which is hard. In the glass a full aroma hop beer. The drinking is a bitterness without roughness, and a finish that is more towards a really dry dry. Which is annoying to be honest, the back half of the drink more prevalent than the front of palate, which isn’t perhaps what you look for. So a beer more about a finish that a beginning. But what a journey. Am I enjoying it? I am enjoying it. It’s bitter, it’s not rough it’s tasty. Would I have another? I’ve had enough, it’s wearing and beats you in the end. Would I share with a friend on a porch and set the world to rights? I would though, because it’s loud and annoying and needs a good talking about. 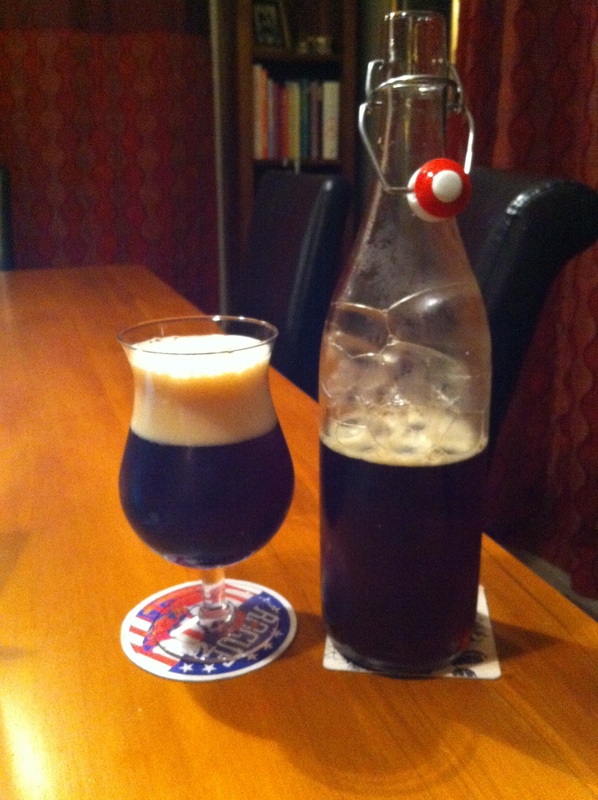 This entry was posted on June 5, 2015 by Philip Walter in 8 Wired, Amber Ale, American Strong Ale, Beer, Beer of New Zealand, Beer Review, Craft Beer, Critic, Justsaying and tagged 8 Wired Tall Poppy India Red Ale, Alcohol by volume, Beer, craft beer, Tall Poppy India Red Ale.